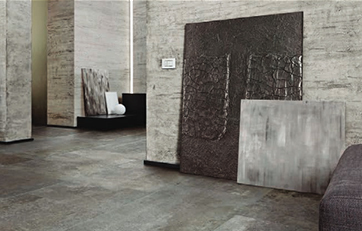 Versatile and long-lasting, concrete tile can be used in nearly any space. 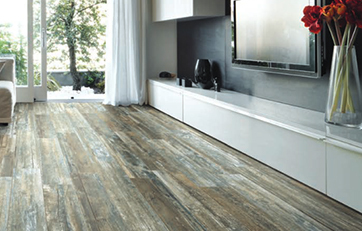 A variety of color options are also available, making this the ideal alternative to more traditional materials. This European concept is the ideal solution for any American surface. 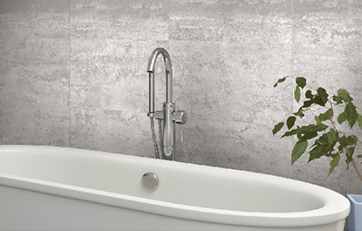 The large gauged porcelain panels look like natural stone but are more versatile than marble, granite, river stone, and other material found in nature. Need a splash of color? 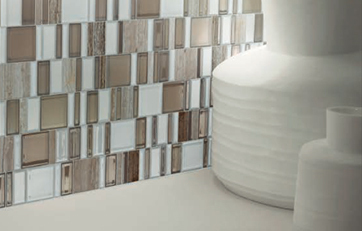 Glass tile is a popular option for accent walls in bathrooms and kitchens as it’s both eye-catching and durable. 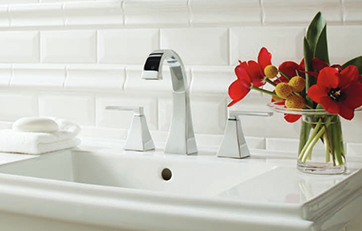 Infuse softness and warmth into a room with an old classic that’s making a comeback: fabric tile. Textures such as weaves, burlap, and linen are well-suited for low traffic areas. 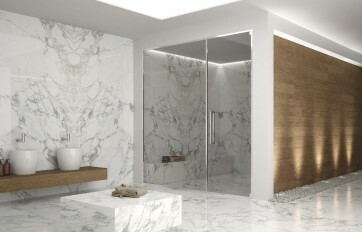 Chic and timeless, marble tile makes a statement. 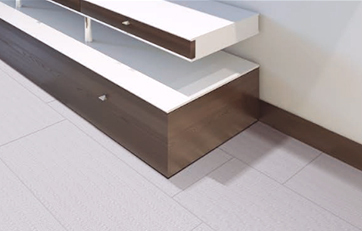 While white is the most traditional option for an entryway or bathroom, additional color variations are available. 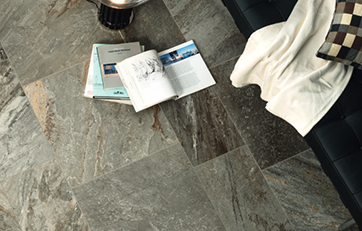 Composed of real stone rather than glazed ceramic or porcelain, this tile is characterized by its natural variations in appearance — which adds to its earthy look and appeal. 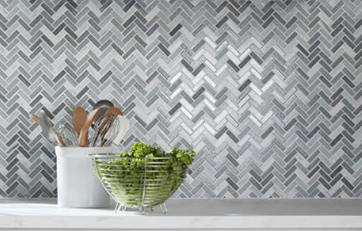 Often used as a backsplash in kitchens and bathrooms, this simple yet classic tile can also be surprisingly versatile, adding interest to otherwise ordinary spaces. Think: outdoor BBQ areas and patios. 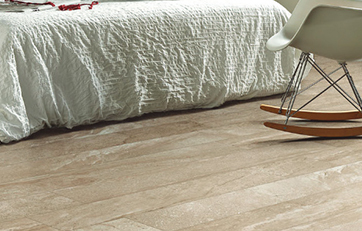 This limestone tile is known for its unique vein patterns and assorted colors. 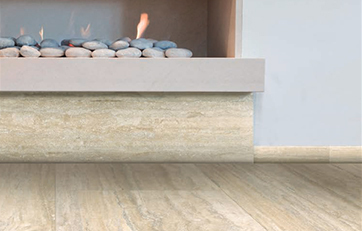 A bit more subtle and consistent in appearance than marble, travertine is also durable and long-lasting. With its variations in color palette and glazing, wood tile works just about anywhere — from an urban condo’s birchwood floors to a dark yet playful mahogany wall in a Havana-esque bungalow. 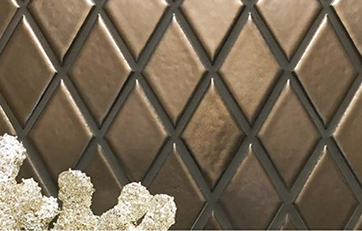 Boutique, mosaics, water jet cut – oh my! 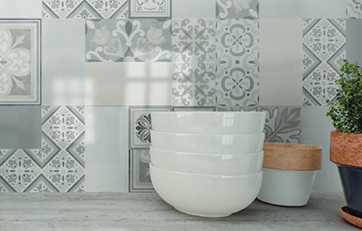 For a unique touch to any home these tiles are unrivaled in their exquisite design to impact and inspire.